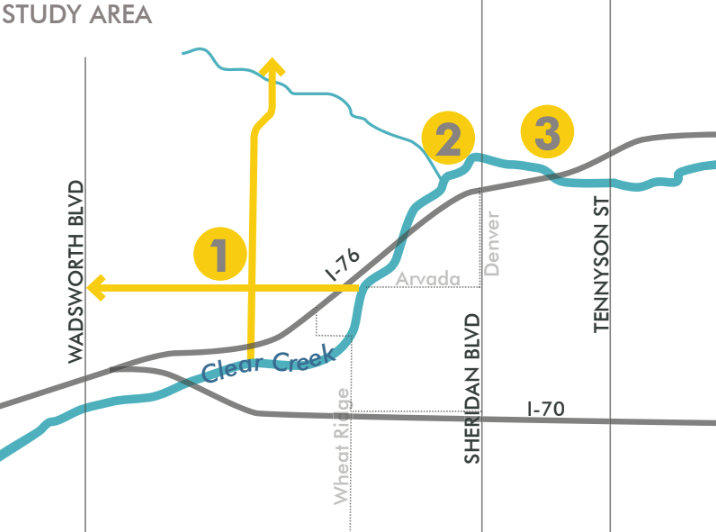 The City of Arvada, in partnership with unincorporated Adams County and the cities of Denver and Wheat Ridge, is developing a master plan of the Clear Creek Corridor. The plan will identify future recreational opportunities and habitat improvements along the corridor through the Arvada reach and surrounding areas. This area has a long history of gravel mining, landfills, and industrial practices. The land uses along this corridor are a mixture of established neighborhoods and industrial uses. Vegetation lines both sides of the creek and screens the industrial surroundings. Publicly owned land in the corridor include parks, trails, trailhead parking areas, drainage, and flood management.